Inter Coolers / After Coolers are widely used to decrease the temperature of the compressed air to a specific processed area. The after coolers and inter coolers are checked and tested in different working conditions to optimize the cooling effect with cold water. These can also be customized as per the exact needs and demands of the clients or their applications. Our customers can buy from us a wide range of Inter Cooler. The coolers offered by us are developed by the experts keeping in mind the requirements of the industries. All these coolers ensures their adherence with the industry standards. 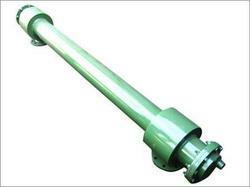 Our products also find wide applications in domestic market and various industries. Moreover, the offered coolers find their applications in varied industries for cooling gases in compressors. Clients can avail a wide array of Inter Coolers/After Coolers from us. 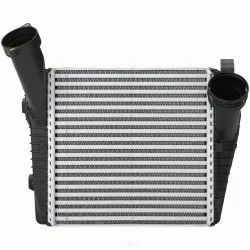 These Intercooler And Aftercooler are manufactured using quality grade raw material and advanced technologies. Clients can avail these coolers in two parts including horizontal after Intercooler And Aftercooler as well as vertical after coolers. Moreover, our products are widely used to decrease the temperature of the compressed air to a specific processed area. We have gained expertise in delivering a quality range of Tube Bundle After Coolers. The offered Tube Bundle After Cooler are widely utilized in varied industrial and commercial areas for water heating & cooling purposes. Before the final delivery, our Tube Bundle After Cooler products are thoroughly checked by the quality auditors on varied parameters. Clients can avail these products from us at industry-leading prices. Owing to our rich industrial experience in this domain, we are offering a wide assortment of Set Of Air Cooled Inter Coolers & After Coolers. 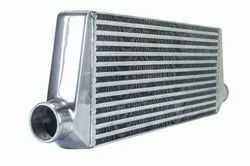 These Set Of Air Cooled Intercoolers And Aftercoolers products are developed using advanced techniques and latest machinery in accordance with the industry set guidelines. 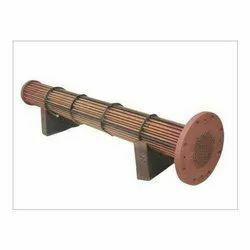 The offered Set Of Air Cooled Intercoolers And Aftercoolers are used by industries for transferring heat from compressed air to the atmosphere. Backed by the profound experience of the market, we are able to offer a range of Turbo Charger Inter Coolers. These Turbo Charger Inter Cooler are fabricated using superior quality spare parts and components that are sourced from authentic vendors of the market. Our coolers are widely used in big industries for varied purposes. The offered Turbo Charger Inter Cooler are widely applauded among the clients for giving remarkable performance for longer period. Making use of latest technologies, our organization is involved in manufacturing a wide array of Inter Coolers/After Coolers. All our products are manufactured by the professionals using high grade raw material and components along with the latest technologies ensuring that they are meeting the international quality norms and standards. These Inter Cooler And After Cooler can be availed by the customers in different designs and can also be customized as per their requirements. Our domain expertise has enabled us to come with a premium range of After Coolers. Our After Cooler are designed in such a way that the water is supplied from the opposite direction of the compressed air inlet to increase the efficiency. 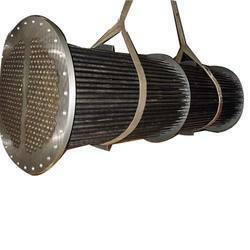 Moreover, our After Cooler are widely used to reduce the temperature of compressed air. 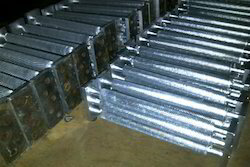 Further, we charge economical rates from the customers for providing these coolers. With firm commitment to quality, we are involved in offering our clients a comprehensive range of Air Cooled Inter Coolers And After Coolers. 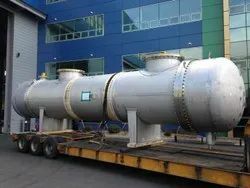 These Air Cooled Inter Cooler And After Cooler are widely used in power generation plants and PET blow molding industry for cooling of air/gas which gets heated during the different stages of compression of air and gas. Customers can avail these Air Cooled Inter Cooler And After Cooler from us competitive prices.